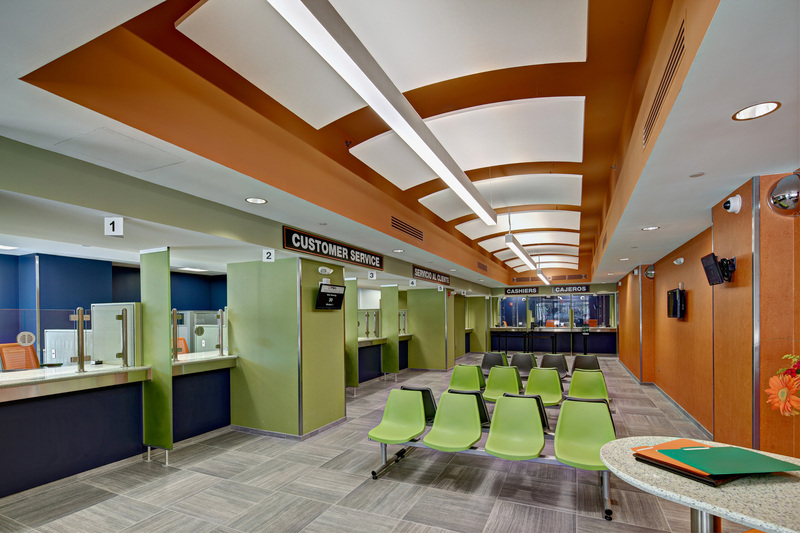 Embracing a sustainable design mandate, the PSE&G Jersey City Customer Service Center provides a 3500 s.f. facility for supporting their local customers. 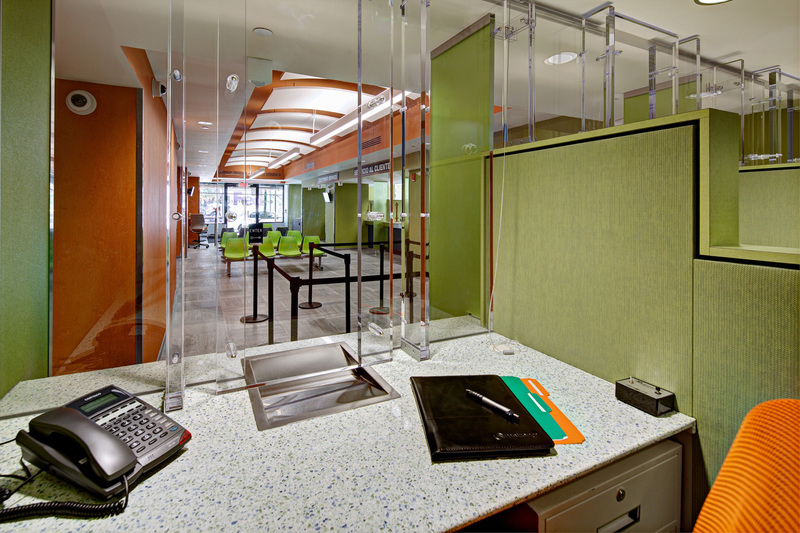 The facility provides automated bill payment services, cashier services, access to PSE&G representatives, and supporting spaces..
Set within the ground floor of an existing 11-story building located in Journal Square, the implementation of this new facility faced several challenges. 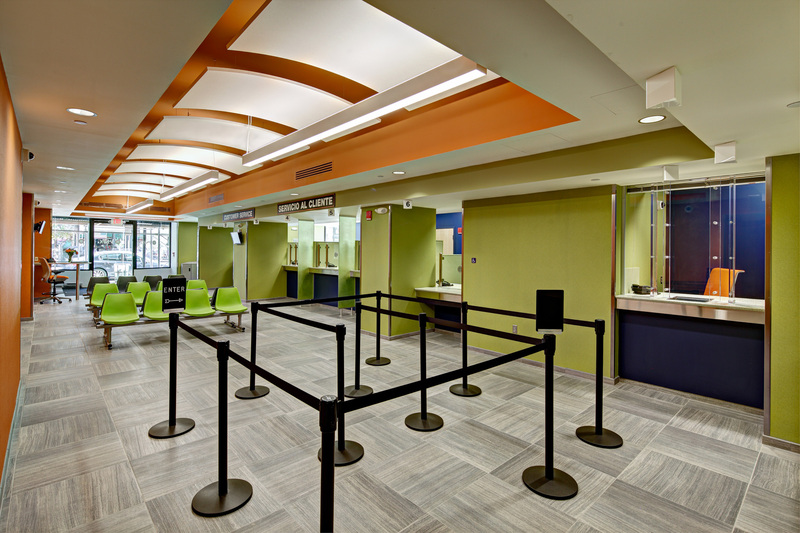 These included working in coordination with an existing older infrastructure, on-going building-wide landlord improvements, establishing code compliance with Jersey City, and maintaining PSE&G security standards for the facility. With an aggressive program versus limited square footage, every aspect of the design needed to be judicious in its use of space. 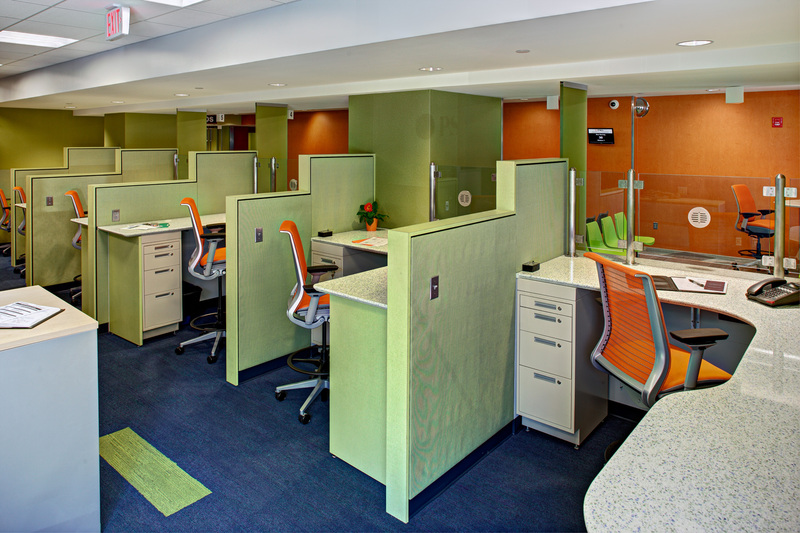 The project has successfully obtained LEED Silver certification.